The National Association of Corporate Directors (NACD) has announced that Kenneth Creager of Boca Raton, Florida has become an NACD Fellow, the highest level of credentialing for corporate directors and corporate governance professionals. I’m honored to join the distinguished and diverse group of individuals who make up NACD’s Fellowship program and who have committed to advancing the highest standards of boardroom leadership. The National Association of Corporate Directors (NACD) has announced that Kenneth Creager of Boca Raton, Florida has become an NACD Fellow, the highest level of credentialing for corporate directors and corporate governance professionals. Mr. Creager currently serves as a trustee on the board of The Museum of the American Railroad, and is the past president and chairman of the board at the Heritage Museum of Frisco. He also serves in an advisory capacity with a number of start-up technology firms. As an NACD Fellow, Mr. Creager has demonstrated his knowledge of the leading trends and practices that define exemplary corporate governance today and has committed to developing professional insights through a sophisticated course of ongoing study. 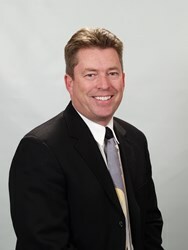 Mr. Creager is the former President & CEO of MiX Telematics, Americas. He has held the elite position of CMO and VP of Global Channel Sales & Operations at Enfora, along with senior positions at Meru Networks, Cisco Systems and Marconi Communications. For information about the NACD Fellowship program, visit http://www.NACDonline.org/Fellowships. Directors who are interested in becoming an NACD Board Leadership Fellow can contact NACD at 202-572-2084 or email Fellowships(at)NACDonline(dot)org. The National Association of Corporate Directors (NACD) is the only membership organization focused exclusively on advancing exemplary board leadership. Based on more than 35 years of experience, NACD identifies, interprets, and provides insights and information that corporate board members rely upon to make sound strategic decisions, confidently confront complex business challenges, and enhance shareowner value. With more than 13,000 corporate director members, NACD provides world-class director education, director training, and proprietary research about leading boardroom and corporate governance practices to promote director professionalism and bolster investor confidence. Furthermore, to create more effective and efficient corporate boards, NACD provides independent board evaluations and custom-tailored in-boardroom education and training programs, as well as director-led conferences, forums, and peer-exchange learning opportunities to share ideas about current and emerging issues. Fostering collaboration among directors and governance stakeholders, NACD is shaping the future of board leadership. To learn more about NACD, visit http://www.NACDonline.org. To join, contact Kelly Dodd at kkdodd(at)NACDonline(dot)org or 202-380-1891.